1) Pack lunches or take the kids to school (cue victory cry). In our house Friday is “Papa Day” which means that the kids eat a wholesome breakfast of cinnamon and sugar toast, get themselves dressed in 45 seconds, and have plenty of time left to watch Bubble Guppies before my husband drives them to school. But not before he throws me the snide “Don’t I make this look easy” look. Yes, honey, you do. You and Nick Jr.
2) Shower at the gym. Which proved to be a mistake since my quick dash out for groceries after yoga turned into 2 hours at 3 different stores…and me, the stinky mom in the bread aisle. 3) Go into the office. I admit it – I love working from home! Especially when it allows me to sidetrack and prep for my little dude’s 4th birthday party tomorrow. It’s a Puppy Party. With 10 real live puppies. Really, there’s a company that does that. It could be magical, or a child could end up with rabies. I’ll let you know how it turns out. 4) I didn’t not get a tattoo. That’s a double negative. Which means that I did! I actually got 2, which completes my half sleeve (happy dance!). 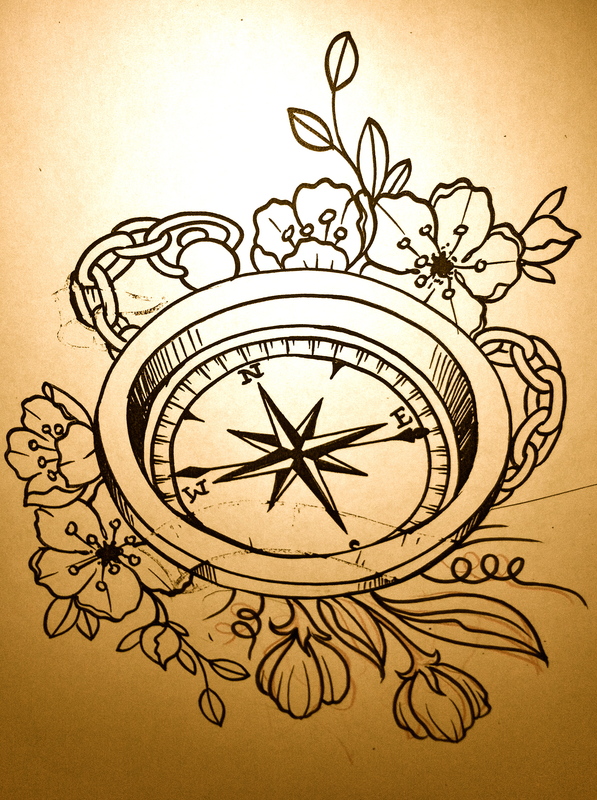 I got a compass with the boys’ birth flowers behind it, and an anchor with Kevin’s birth flower and a banner that says “steadfast”. I’d post a pic but I’m swollen and in pain, so instead here’s a shot I snapped of the drawing. More pics next week! Aren’t Fridays the best day not to do stuff! Try it next week. You’ll like it. Happy weekend, friends!